Paul Nicholls will use Saturday's Cotswold Chase at Cheltenham to see if Frodon is worth running in the Gold Cup but will bypass the race with his King George VI Chase winner Clan Des Obeaux. The 10-times champion trainer considered the Cotswold Chase as an option for Clan Des Obeaux but intends sticking with his original intention to give the gelding his Gold Cup prep-race in the Denman Chase at Newbury on February 9. 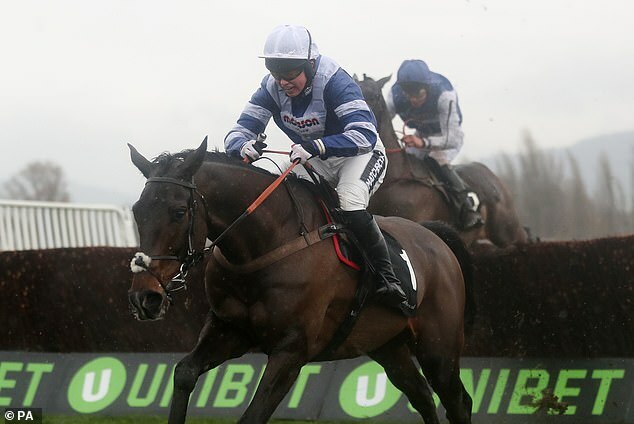 While the credentials of Clan Des Obeaux for the Magners-sponsored Gold Cup on March 15 are established, Frodon has massive questions to answer about his stamina for the three and a quarter mile race. The seven-year-old's length and a quarter defeat of Cepage in the Caspian Caviar Gold Cup in December was a career-best effort and made it three wins at Cheltenham but he has never won over three miles. Nicholls, who also intends running Black Corton in the Cotwold Chase, said: ‘I half thought about the race for Clan Des Obeaux but unless I have a change of heart overnight it won't happen. ‘It has not been the plan and would be an afterthought and I don't like following them. ‘Frodon has been specifically trained for the race. He loves the track. He is entered in the (shorter) Ryanair Chase but if he gets the trip he would be another to run in the Gold Cup. 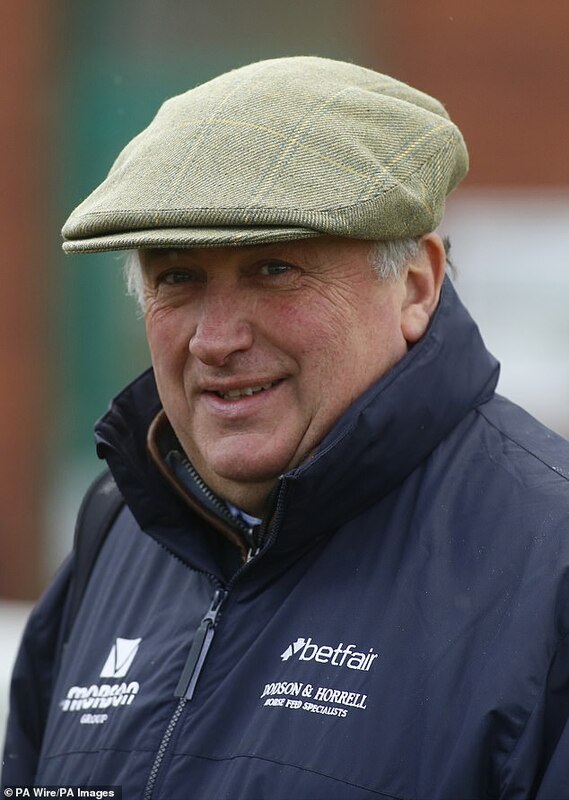 Nicholls intends running Dynamite Dollars in Saturday's Lightning Novices' Chase at Doncaster. The six-year-old, a 6-1 for the Arkle Novices' Chase, has already won the Grade One Henry VIII Novices' Chase and the Grade Two Wayward Lad Novices' Chase this season. Saturday is Trials day at Cheltenham and the Cleeve Hurdle throws together the best of the long-distance hurdlers this side of the Irish Sea. They are headed by Emma Lavelle-trained Paisley Park, winner of the Long Walk Hurdle at Ascot last month, and Aux Ptits Soins, who showed he had fully recovered from and long-term injury when he won a handicap hurdle at the track on New Year's day.